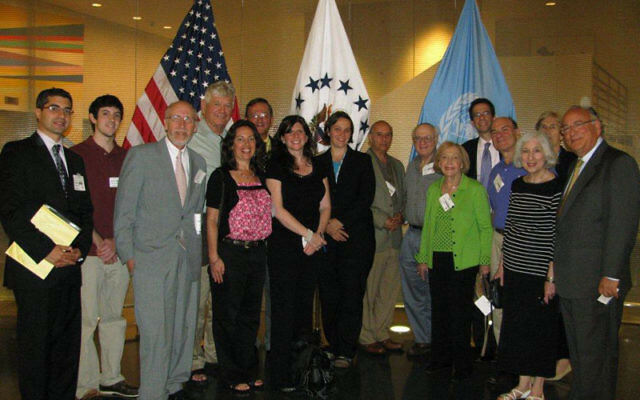 An official at the United States Mission to the United Nations assured local Jewish activists that Israel enjoyed broad U.S support at the world body. 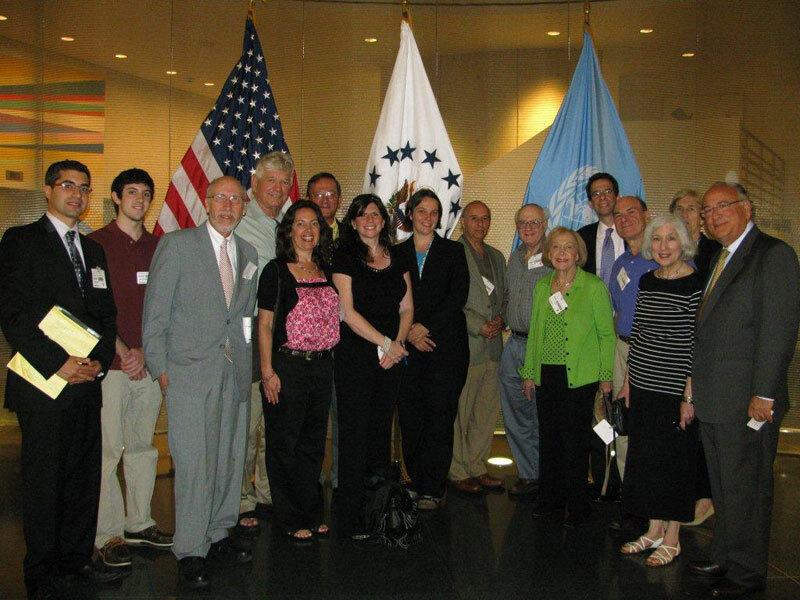 Fourteen members of the Community Relations Committee of MetroWest NJ met July 5 with Barbara Masilko, a political section Middle East adviser, to present a “Stand for Israel” statement signed by 1,050 MetroWest residents. The CRC thanked the Obama administration for their commitment to opposing a declaration of Palestinian statehood should it be put forth at the upcoming meeting of the UN General Assembly in September. Although the one-hour meeting at the U.S. mission in Manhattan was off-the-record, observers said Masilko reiterated U.S. opposition to unilateral Palestinian statehood and supported final status negotiations between the two parties. She pointed out, however, that the Palestinians have not yet provided a formal request for support of statehood, and that the United States is working to discourage this unilateral approach. Observers said that Masilko expects that positive attitudes toward Israel will be reflected at the upcoming Security Council session by Portugal and Germany as well as permanent members Britain, France, and the United States. Masilko said American diplomats at the UN have close ties to both Palestinian and Israeli representatives in New York. They are sometimes able to counteract hostile resolutions aimed at Israel. Masilko, who spent three years at the United States Embassy in Tel Aviv, reportedly said that her visits to Sderot — which had been under rocket attack from Hamas forces in Gaza during her stint — made a “sensory impact” that watching televised reports on CNN could not convey. Observers said Masilko reported some positive trends in Israel’s relationship with fellow members of the UN. Masilko told her visitors she would share their petition with members of the Obama administration.